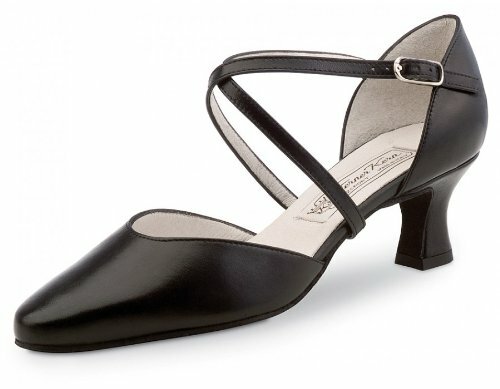 Ultra-comfortable Werner Kern Model Patty dancing shoe with feminine rounded front. The individually adjustable crossed instep and heel straps below the sole and at the heel offer a perfect and extremely comfortable fit - a classic. Soft nappa leather or silk satin that provides a particularly gentle and supple fit.